In December 2007, I woke up alone on Christmas for the first time in my life. It was one of the most difficult and beautiful experiences of my life--to date. I learned so much about myself, my inner strength and the power of fear. Fear is powerful, but it's not real. I had moved to Boston from New Jersey (born and bred, baby) in July of 2006 and had traveled home for the holidays that winter. The following winter, I just opted to stay put. A few friends from my place of employment at the time offered me a place at their tables on Christmas Eve and Christmas Day, so I was set. It would be weird, yes. Awkward, a little. They were people I knew and trusted, so that helped. But it required some courage and confidence to prepare for the morning--when I would wake up alone. No presents under the tree. No one to hang my stocking, let alone fill it with anything. It was a departure from life as I had known it before. It was new territory, a demarkation carved into my cortex between my former and current self. Would I be able to do it? What would happen when I woke up in the morning, alone, without a soul to see on a really important holiday? Christmas Eve dinner was great. My host was kind, the guests kinder and there were cookies. Always a win, for me. I lingered but eventually had to leave. I don't remember commuting home or falling asleep. But I do remember waking up. It was quiet. It felt sad. I held my stuffed animals, placed strategically around me on all sides, and I cried. I cried tears that came for so many reasons, some related to the emotions of the morning, some that had nothing to do with anything I felt in that moment. Just tears. Tears cried in the solitude I had chosen to experience. Eventually, I stopped crying. I got up and ate some cookies and made some breakfast. I watched The Godfather Trilogy, which was something I had set as a goal for myself. I sat present with emotions ranging from pride to sorrow and back to pride, again. I had done it. 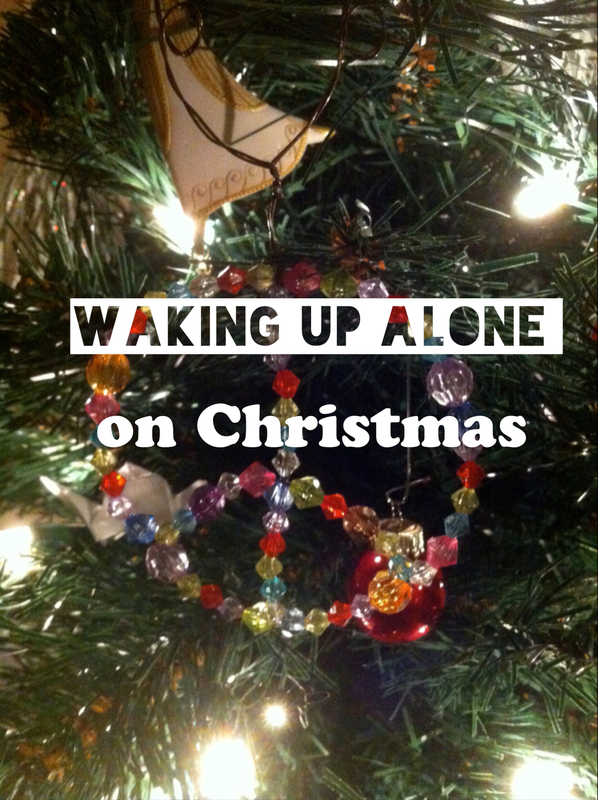 I had woken up alone on Christmas and lived to tell about it. I watched Fredo get the kiss of death. I studied Al Pacino's expressions and thought of my father, who resembles him. My father is also extremely talented and probably would have been an excellent actor. I got up, eventually, showered and dressed and found my way out on the commuter rail to a remote suburb for my Christmas dinner. More strangers seated around a table who made a place for me. To this day, I remember that experience and all I learned from it, namely the profound depth of my inner strength. If we can feel the fear and face the tough stuff, we get to see what we are truly made of. I was so afraid of waking up alone on Christmas Day. Even though I chose it, I was worried about what would happen, how I would feel and if I would be able to handle the experience of waking up alone. Turns out, I handled it just fine. Often, our fear of something ends up being way more difficult than the actual experience. That experience transformed me and my experience of fear for the rest of my life. Every time I feel afraid of something, anything, I remember every moment of that Christmas in 2007. I remember making the decision to do it and I remember sitting with that choice all the way through the holiday. Six years later, I still feel good about it. It was damn hard but I feel damn awesome about myself. Winter Wellness Warriors: 6 week virtual program to cultivate courageous health.